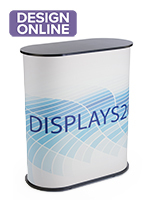 This custom curved counter is completely portable, functional, and customizable! 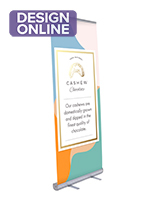 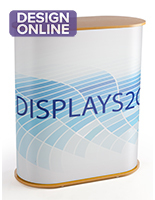 Users can choose any full color graphics to be attached to the front of the display on digitally printed adhesive vinyl. 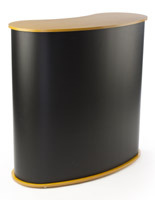 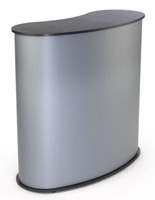 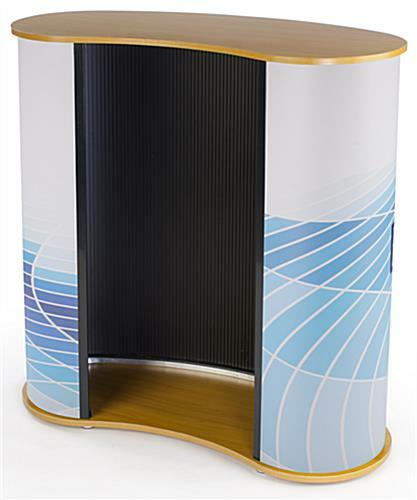 Each trade show curved counter features a gorgeous wood grain MDF top and flexible black plastic body with an open back. 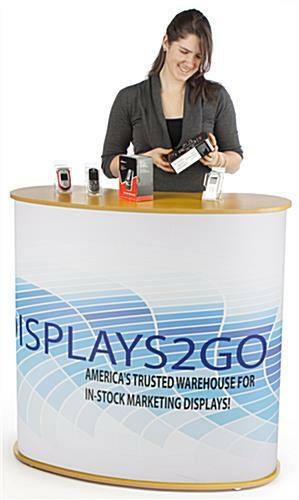 Customers can use this open area for storage during events or even flip the whole booth around to display merchandise from within the unit. 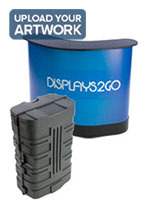 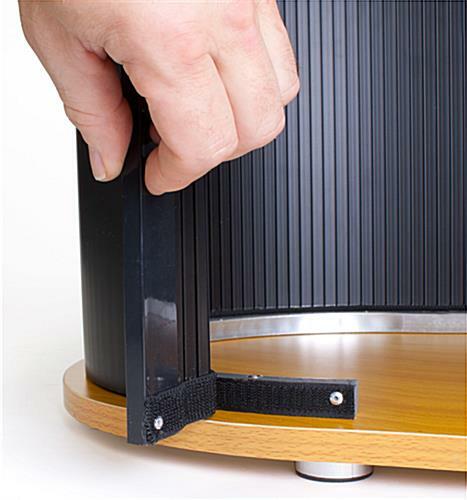 The curved counter is extremely lightweight and includes two carrying cases for portability. 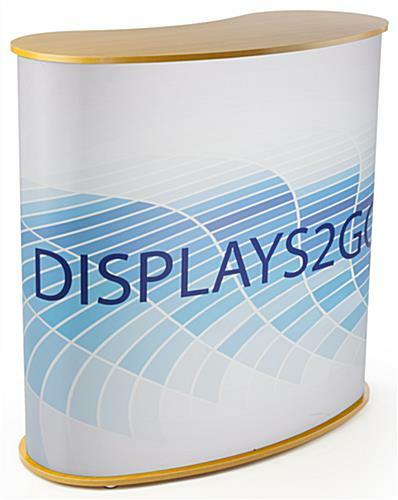 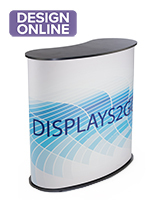 Replacement graphics for this wood-top trade show booth are available and really easy to attach to the display. 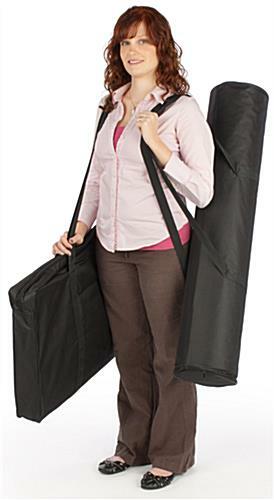 41.3" x 40.5" x 18.5"
Very sturdy with great carrying cases. 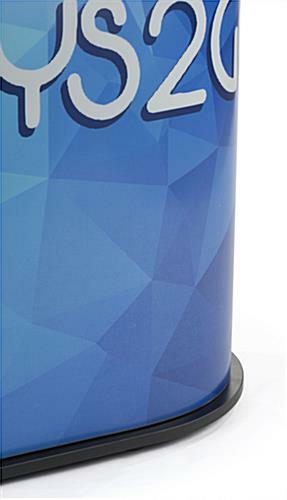 Expect to get a lot of use out this product. 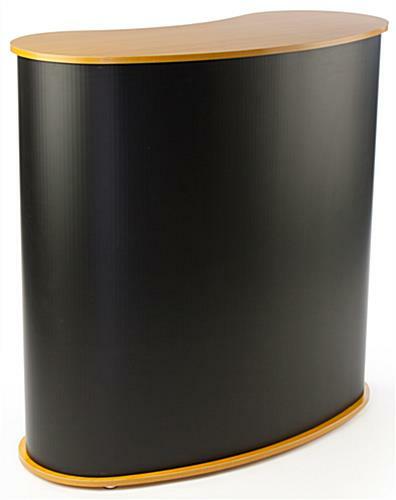 Custom printed wrap was also high quality.